Urgent attention needs to be paid to frail older New Zealanders' oral health, a University of Otago study has highlighted. In a world first, Otago researchers surveyed the oral health of 987 people living in aged residential care and found those with dementia, and older men in general, have dirtier and more decayed teeth. 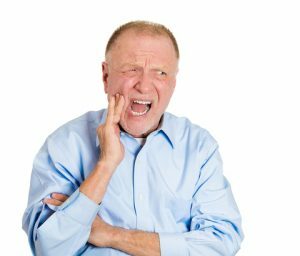 Otago Head of Department of Oral Sciences and lead author, Professor Murray Thomson, describes poor oral health as one of the "geriatric giants" with the situation a "major clinical and public health problem which is going to get worse." Older people have higher rates of cognitive and physical impairments that can adversely affect their oral self-care and complicate the provision of oral care, he says. "Neither the aged care sector nor the dental profession, in most countries, is prepared. Not only do we have more and more older people every year, but more and more people are entering old age with their own teeth, rather than full dentures, as was the situation just a couple of decades ago. "In some ways, dentistry has been a victim of its success - we have long emphasized the idea of 'teeth for life' without much thought to what happens towards the end of life. We also now know that half of those in old age will end up in residential aged care, and that more and more of those will have some form of dementia." Professor Thomson believed that "slow progress" was being made in the area. "It's a very complex situation involving a lot of players - the aged care sector, the Ministry of Health, the dental profession, and the public. An encouraging sign is the inclusion of oral health in New Zealand's Healthy Ageing Strategy. That's a starting point, but there is a lot of work to be done," he says. Of those examined in the study - representative of the more than 14,000 New Zealanders living in aged care - recently published in the journalGerodontology, about half had severely impaired cognitive function, and more than a third required fillings or extractions. Those with severely impaired cognitive function had greater numbers of teeth with decay. They also had higher oral debris scores, reflecting poorer daily oral hygiene care. Professor Thomson says greater rates of tooth decay can result in dental and facial infections, poorer quality of life, malnutrition and difficulties in communication. The researchers also found that even the most cognitively impaired participants were able to be examined fairly easily, meaning that regular, routine removal of oral debris by carers should not be difficult. "The issue that we currently face is that much of that debris removal is not being done, and this, along with frequent exposure to sugary, over-processed meals and snacks, and poor salivary function, is enabling plaque and dental caries to flourish in aged residential care populations." For those wanting to improve or maintain their oral health, Professor Thomson has some simple advice: brush twice daily; clean carefully between the teeth at least two to three times per week; avoid having sweet drinks or snacks between meals - and that includes sugar in tea or coffee - it takes only a couple of days to get used to not having it; and avoid smoking. "For people who have poor oral health in middle age, it is not going to be any better in old age, and an honest, open conversation with a dentist about the options, which may include complete extraction, may be a very good idea."